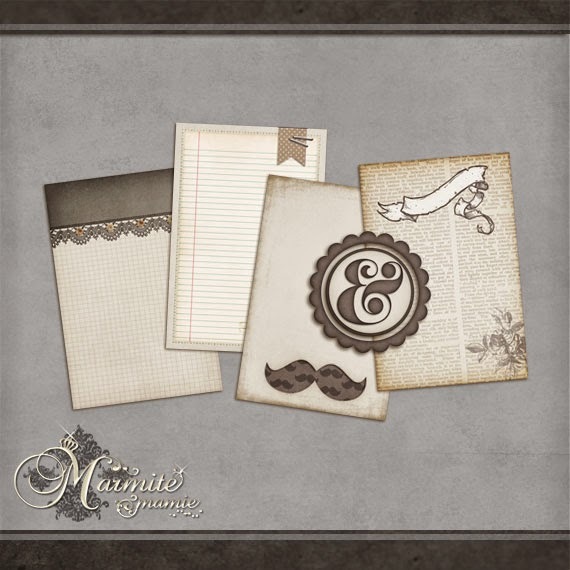 Marmite Mamie has released an amazingly cute set of earthy journal cards with lined paper, grid paper, lace, ampersand and moustache! By the way, did you know that marmite mamie creates her digital scrapbooking freebies with Gimp? She’s amazing!